home economics – What's Cookin' @ Special Collections?! The spring semester is over, but summer school has begun here at Virginia Tech. If that reminds us of anything, it’s that we’re ALWAYS learning. 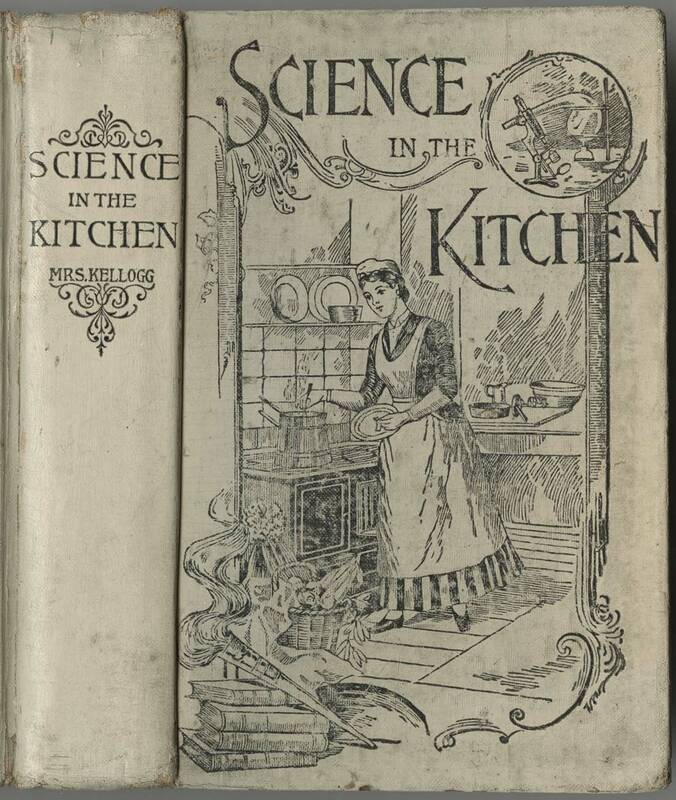 So, this week, we’re looking at Twenty Lessons in Domestic Science by Marian Cole Fisher, published in 1916. We won’t look at all 20 (and honestly, we almost weren’t going make it past the awesome diagrams in Lesson One! ), but we may also revisit this book in the future! And here are a few pages from Lesson Number Three: Cakes and Their Process, which is where we start to get to some actual recipes! This week, I’ve been attempting to clean up/sort out some boxes in my office. This includes two small boxes of additions waiting to be added to collections. Among them are some pamphlets for the Virginia Tech Special Collections National Agricultural Publications (Ms2011-022). (We’ve recently updated the name from its previous title of “National Agricultural Publications,” a decision motivated by a desire to create collection titles that are following the current standards for archival description.) The collection contains United States Department of Agriculture, War Food Administration, and other national agency publications on topics ranging from war-time food use and Victory gardens, kitchen appliances, preservation strategies, individual foods/food groups, and home demonstration. Our feature item is a USDA pamphlet from 1921 (first published in 1917) called Homemade Fireless Cookers and Their Use. A fireless cooker is a device for keeping food so hot after it has been taken from the stove that the process of cooking will be continued and completed. It makes cooking easier and lessens the amount of fuel needed. It is usually more economical when used as a supplement to a gas, oil, or electric stove that to a coal or wood range in which a fire is kept all day for purposes other than cooking. Efficient? Economical? And it can be made at home? Sounds like a helpful bite of food technology to me! Since it was written the practical purpose of instruction, it’s not surprising that this is a text-heavy 16 pages. But it’s chock full of information from the how-to-build to the what-to-cook, and does include some illustrations and photographs. The last page also talks about using the cooking box to keep foods cold. By 1921, a wide variety of stand-alone oven/stove types were available, but they were often small in size. The idea of the fireless cooker meant that foods with longer cook times could finish elsewhere, freeing up space inside. We still use some of the techniques of the fireless cooker today, though perhaps not in the same ways. The fireless cooker is a predecessor of sorts to the slow cooker, which would emerge about 15 years later, bringing fireless cooking back into the kitchen from the outdoors. This pamphlet is available in its entirety on a number of sites, including the Internet Archive, but today I’m linking to the University of North Texas USDA Farmers’ Bulletins collection. It contains this week’s feature item, along with more than 1,800 other USDA books and pamphlets published between the 1880s and 1980s! The edition on the UNT site is from 1917, so it’s an earlier version of the one on our shelves. The 1921 has a few more images, but the same number of pages. We’ve got lots more from the home economics field on our shelves and we’re always here. So feel free to come by and learn about how to make your own fireless cooker, your own cheese, or how to build the best greenhouse for your property…Or at least get a sense of how it was done historically. Happy cooking!